Some days a moment stays with me to the point where I need to write about it, even when I had my thoughts all set to share about something else. Tonight is just such a night. Cooter and I went down a dead-end street and back up, with all the stopping and smelling that Miss Sophie wanted to do. She was in her happy zone. Cooter pushed with his little legs and made it up the sloped street, pumping as hard as he could. As we got to the top of the street, there was the young man with the basketball again, heading back in the opposite direction. We crossed paths again. He turned back to me, and his whole countenance had changed. Because of THAT smile. His eyes lit up, and I was blown away for a moment. He smiled, ducked his head, and we each headed in our own direction back to our homes. I can’t seem to get the image of his face all lit up out of my head or heart. What had looked like a young man meandering along on an early fall evening was actually a young man focused on his dreams. Working intently on making them happen. I am glad I stopped and noticed. That was a Gift for me to see. That light though. A precious treasure. We all have a light of sorts inside of us, don’t we? We just need someone to notice that thing about us that makes our heart and soul shine, and then…..
Look out, world. You’re going to need sunglasses, we are so bright. Tonight I’m thankful for the reminder that people are always more than what we see. There are so many stories in each one of us, and if we take time and are open, we might even be blessed enough to see one. I’m grateful for the chance to see that light in the young man, and for The One who helped me to speak up to begin with. I am inspired by this young man’s intensity and focus. I am also thankful for the reminder that things are not always what they seem. All I saw at first was a young man playing around with a basketball, when what I was really seeing was dream-making in progress. It felt almost sacred, being a witness to that moment, all that effort. May we all have someone who will see the light in us and remind us that it is there, and may our hearts be glad and filled with the drive to keep trying until we make our dreams happen and our light shine even brighter. So this morning, the day after my girl’s 20th birthday, I bestowed upon her the privilege of having the leftover cinnamon rolls from yesterday morning’s special breakfast. There were only a few, not enough for all three children, and since we celebrate a birthday all week–sometimes all month–they were deemed hers. Much to the displeasure of her carb-loving brother Cooter. He was quite devastated. As Aub went to the refrigerator to get the sweet rolls, she asked me what they were in. “I wrapped them in tin foil,” I answered. Which was hardly the truth. It’s aluminum foil now, everyone knows it, but some habits die hard. She stuck her head in the frigidaire and began rooting around. She pulled out a tin foil bundle. “Oh please, oh please let this be the cinnamon rolls and NOT broccoli. Please not broccoli. I might lose my mind if it is.” She knows me well. 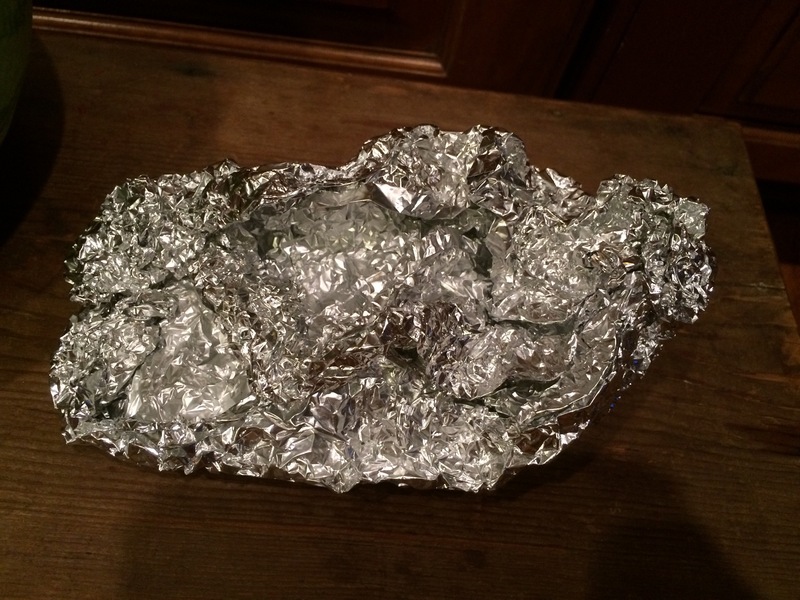 When I roast a bunch of broccoli, I sometimes tuck the leftovers in foil for a snack later on. Yeah, baby girl, me too. Like when you meet someone and your first impression is that they are pretty okay and then you find out they park in handicapped spaces for the sport of it or they make fun of people who are different or that sort of thing. Or when you think you’re about to take a sip of water and it’s Sprite or some such nonsense. Or worse, it’s unsweet tea when you were expecting sweet. That’s just not okay. It is hard when people and things aren’t what they first seemed to be. And yet, sometimes, every once in a blue moon or so, the opposite happens. You think–oh well, here’s a plain ol’ ball of tin foil. Probably some broccoli or something like that in here. And then, when you open it up, tucked inside extra special is a small bundle of cinnamon deliciousness. Or when you stay up late talking to someone you’ve just met and you know instantly that they will always be in your life. Or when someone you’ve known in the background for a while steps to the forefront and you find a kindred spirit. Those cinnamon rolls. They make the digging through all those tin foil packs so very worthwhile. May life surprise you with cinnamon rolls and all the good things today. And may you find yourself not discouraged when something isn’t what it first seemed. Keep looking. Those cinnamon rolls are out there. The night before I turned twenty, I had all the teenage angst. I pondered life from the small room I had on first floor in the dorm where I’d also lived two years before during my freshman year of college. I can see the comforter and my peach colored sheets, as I remember sitting there and putting into words all of my emotions about leaving my teen years. Sentimentality and questions were predominant in the lines I filled with my handwritten thoughts. Tonight I sit here again, pondering the end of the teen years and all that encompasses. My oldest will be twenty when we all get up in the morning, as she was born at 3:32 a.m.
Twenty. How can that be possible, when I can still feel nearly everything I felt the night before I turned twenty? This is the decade when she will grow by leaps and bounds into whom she will be. She will finish her education and choose a career. She will meet all kinds of interesting people and possibly even find someone to share the rest of her life with in this next decade. She will do more than dream in this next decade–she will make things happen. I don’t have all the fancy words tonight that I did over twenty-something years ago. I won’t jot the thoughts I do have down with pen and paper. Instead, I sit quietly and give thanks for every one of the past twenty years–each minute of every single day. Even the hard ones. This night twenty years ago when I arrived at the hospital, my doctor met me there. The nurses had checked my blood pressure in the pre-admission room. They expressed concern to Dr. B that my blood pressure was up just a little bit. There have been many moments since that night when “being a Mama” has raised my blood pressure just a little bit. And I wouldn’t change a single thing. In the hours after my girl was born, people gathered close. People who were anxiously awaiting her arrival and who have loved her ever since. Every minute of every day since the moment she took her first breath, she has been loved. I think I hold on to those two things tonight, and I want her to hold these close to her heart as well. There will be hard moments in this life–hard days, even hard seasons. Times that will raise your blood pressure. There’s no getting around that. But when those moments come, and they WILL, know this–you are loved. May that love carry you in its arms through the hard times and carry you on its shoulders in times of joy. And may this next decade find joy chasing you down and tackling you. All the days. And happy birthday, baby girl! My girl with her love. 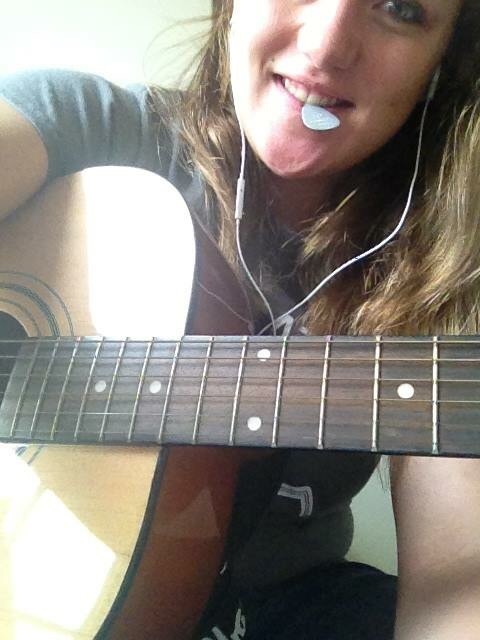 So thankful for all the music she brings to our lives, and I look forward to all the music she has yet to play.